Mark Fisher, a legendary angler who’s played a key role in designing a number of Rapala®’s most iconic lures, was inducted into the Minnesota Fishing Hall of Fame on Friday, March 23. The honor celebrates Fisher’s outstanding impact on the state’s sport fishing industry and his work to introduce generation after generation to the joys of the Great Outdoors. 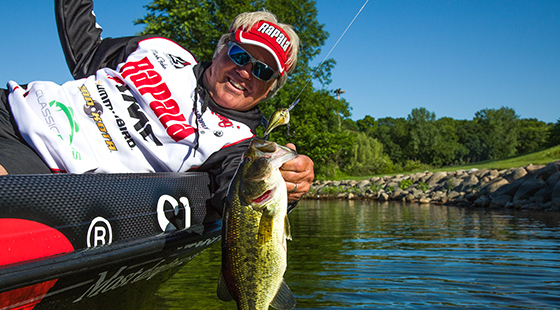 The Minnesota Fishing Hall of Fame induction recognizes Fisher’s decades-long career as a best-in-class tournament angler, television and radio personality, and groundbreaking work as chief lure designer at Rapala® USA. Fisher was nominated for the Hall by his peers in the Minnesota outdoors industry, a detail that makes the accomplishment all the more meaningful for the 65-year-old outdoorsman. Born in Minneapolis and raised in Robbinsdale, Minnesota, Fisher’s angling journey began on the waters of Lake Ida in Alexandria, Minnesota. There, during one of many family vacations, he tied on an Original Floating® Rapala® for the first time and immediately caught not one, but two fish — a bluegill on the lure’s front treble hook and a walleye on the rear. In the years following, he honed his angling skills and established himself as a successful professional bass angler. 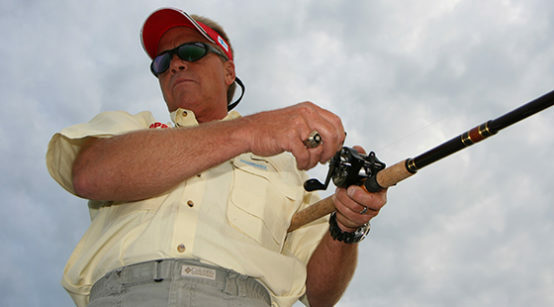 During his time as a tournament angler, Fisher earned the title of 1999 Chevrolet Silverado Circuit Angler of the Year and qualified for the Ranger Boats M1 Millennium Bass Tournament Qualifier, a competition with a $1 million prize. Outside of the tournament circuit, Fisher has made an incredible impact on the world of sport fishing as chief lure designer at Rapala USA, where he’s been a full-time member of the team since 2000. In collaboration with his team in the U.S. and his Finnish counterparts, he’s helped conceive and bring to market some of the most groundbreaking lures to ever hit the water, ensuring each and every bait will swim with an attention-grabbing action straight out of the box and meet the brand’s strict fish-catching standards. Inducted into the Freshwater Fishing Hall of Fame in 2011, Fisher has played a hand in creating Rapala baits that have gone on to become tackle box staples around the globe. Fisher’s impact on the sport fishing industry will be felt for generations. When he’s not busy imagining the next great Rapala lure, Fisher spends his time giving back to the Minnesota community by volunteering with a variety of programs benefiting people in need and through speaking engagements focused on encouraging youth to experience fishing and, in turn, learn the valuable lessons the sport has to offer. 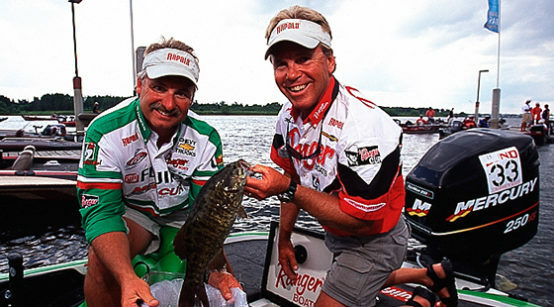 The Minnesota Fishing Hall of Fame honor is far from the final chapter in Fisher’s storybook career. He will continue his work as chief lure designer at Rapala USA and as a Rapala pro-staff team member. A devoted husband, father of two daughters and grandfather to three grandsons, Fisher will continue to blend his angling career and personal life by enjoying the Great Outdoors with family. He expects his two oldest grandsons — who are “nuts for fishing” — to keep him plenty busy on the water for years to come. A hearty congratulations to you Mark, well deserved honor. I have fished in the Frankie’s Tournament in which you and Dave Skallet, Scott Bonnema, Ted Capra, Mark Raveling, and other great fishermen,( not as partners but rather adversaries) and I’ll remember those days for the rest of my days. Always the friendly fun loving guy with a wealth of information that you were more than happy to share with others. Again, congratulations Mark, WELL DONE!! Aloha from the islands in the middle of the Pacific Ocean. MARK….CONGRATULATIONS…..YOU REALLY HAVE DONE A LOT FOR BASS FISHING IN MINNESOTA!!! Congratulations, Mark. Thanks so much for the x-rap and shadow rap. They have accounted for a tremendous number of bass for me. The shadow rap has accounted for some of my biggest bass and I have no doubt it will be one of the greatest baits of all time! 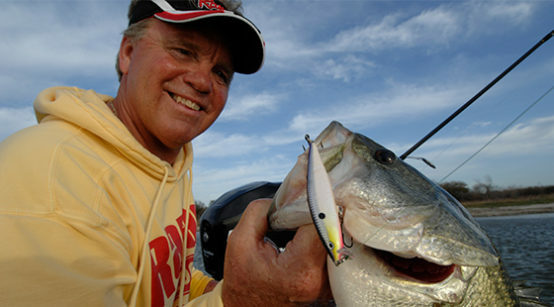 Rapala is blessed to have had your expertise. Congratulations Mark! Shadow Rap is where its at! !